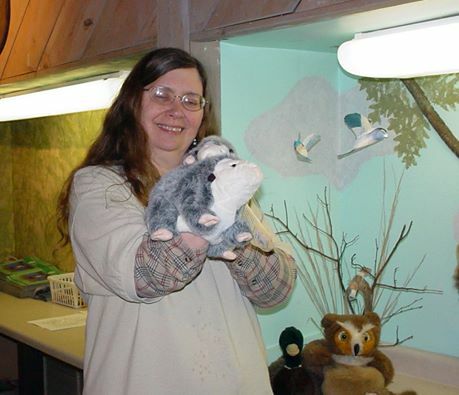 Prairie Partner and friend Judi Jackshon passed away August 22nd after a long illness. Judi joined the Prairie Partners in February of 2006. She is known for her soap demonstrations, re-enacting and volunteering to work the center on weekend dates and holidays. She was also well know for her wagon rides where she talked about the beauty of the prairie, prairie plants and grasses. She will be missed. At the Prairie Partner meeting August 1st, Supt. 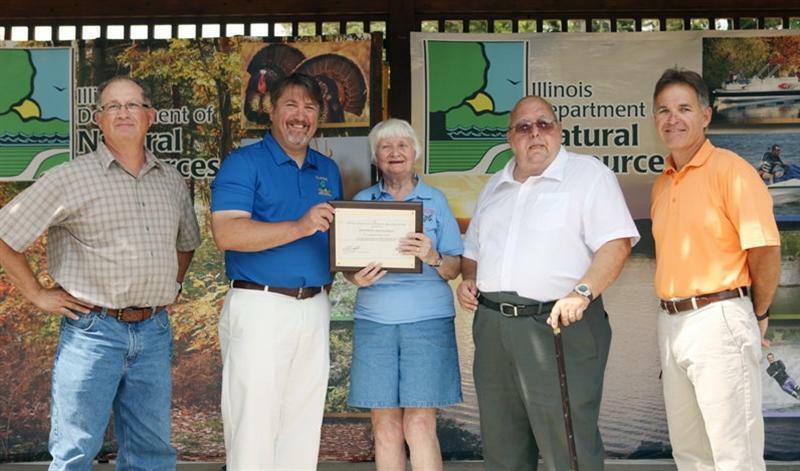 Snow recognized Beverly Mansfield for her service to the Goose Lake Prairie Partners, The Goose Lake Prairie State Natural Area for 2017 as recognized by the Illinois Department of Natural Resources at the State Fair in July. He presented Bev with the plaque signed by the Director. The list of things she does for the park is very long and varied. She is so talented. We had a party in her honor; Pizza, fruit and a beautiful cake. Thank you Beverly for all your service and assistance to us all. On Saturday November 12, it was announced that the Volunteer of the year had been chosen for the 2016 Park Season. This year two people were recognized. Chuck Johnson for his work on the Auditorium Mural, and Susie Johnson for her years of service and long volunteer hours. We thank them for their service. PHOTO: President Char is shown presenting Susie with her certificate and Susie is holding Chuck Johnson's certificate. On Tuesday, October 4, 2016, the Goose Lake Prairie Partners donated the mural panels painted by Ray Grossi and a Security System to Goose Lake Prairie State Natural Area. We wish to thnk all of our generous donors who made this mural project possible. Please visit the mural at the Goose Lake Prairie State Natural Area Visitor's Center. PHOTO: Standing; Vice-President Bev Mansfield, Past President Susie Johnson, Janet Lindstrom, Superintendent Duane Snow, President Char McDade. Seated; Board Members Jo Fleming, Norma Hedges, Tom Kaluzny. Superintendent Duane Snow nominated Susie Johnson as a prospective Volunteer of the year for IDNR 2016. It was awarded so here we are on stage with Dr. Rosenthall on the edge of the grandstand at the Springfield fair. We want to send out a big Thank You to the students who worked at "EarthDay In The Parks" May 4th. That would be the 4th Grade class with Ms. Harts from the Washington Elementary School from Sterling, Illinois. They planted many plugs of Milkweed and Butterfly weed in the islands and behind the Center. The class was terrific! Come see us again! In March 2015, we were pleased to meet Superintendent Duane Snow. He began at Goose Lake Prairie State Natural Area, Heidecke Lake State Fish and Wildlife and Morris Wetlands with fervor, hurrying to his new assignment and the Prairie Partners. We welcomed Supt. Snow to the park and to our monthly meetings. Duane came to us from Sam Dale Lake where he was Assistant Superintendent. A graduate of Salem High School and Kaskaskia Community College, he began his career at Lincoln Trail State Park in 1993 as a Site Security Officer. In 1994 he became a Site Tech II at Steven A. Forbes State Park before his promotion to Sam Dale Lake in 2013. Duane and his wife Donna of 32 years have one son Justin, a daughter Rachel and one granddaughter Anna Mae Belle. 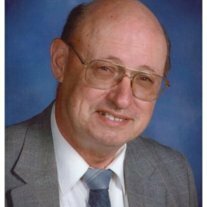 He has served as Cub Scout/Master for 10 years and Director for the Marion County Soil and Water Conservation District and Raccoon Water Board for 12 years. Other Director’s positions include Gateway Water- 8 years and Iuka Park since 2012. Welcome Duane and family! Most weekdays you will see him in the Visitor's Center 10 a.m. to 4 p.m.. It is best to call if you want to catch him personally. 815-942-2899 is the Visitor's Center phone number. Superintendent Joe Giacone has retired after more than 35 years with the Illinois Department of Natural Resources (IDNR). He began working at Starved Rock State Park, then at Gebhard Woods State Park, becoming site superintendent in 1982. While there he was also responsible for the Wm. G. Stratton State Park and seventeen miles of the I & M Canal State Trail. 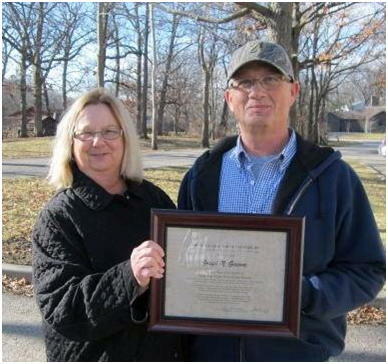 He spent his last nine years with IDNR at Goose Lake Prairie State Natural Area, Heidecke Lake and Morris Wetlands. Although working under an extremely tight budget and with staff shortages, Giacone made many improvements in the three areas during his tenure. New landmark signs are on all the trails. The nature trail signs, especially, entailed extensive research and design. Giacone created access and hunting procedure for the Wetlands, a new park under his direction. With the help of Area One Well and Pump and Exelon Dresden Station, Giacone repaired one of the old windmills at Goose Lake Prairie. Both the inside and outside of the Visitor's Center have been refurbished and new displays were added during Giacone's time as superintendent. A case of Illinois bird eggs and a case of butterflies of the area as well as photo displays and shelving for the Visitors Center's library are just some of the improvements to the Center. 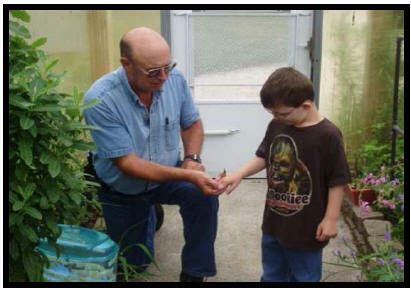 Art Rohr, master gardener, and long-time employee and volunteer, assisted with many of these projects. With the help of the Prairie Partners, the volunteer group at Goose Lake, Giacone tore down the old photo blind and helped put up a new one, kept the butterfly barn seedlings and netting up-to-date, and assisted the editor of the “Tallgrass Journal” in finding material for articles. He also worked with the Partners to bring Cabin Fest in June, a photo contest in August, and Prairie Day in September to Goose Lake Natural Area. Twice, Giacone took the Prairie Partners to the State Fair to celebrate being Volunteers of the year. One of these trips was to honor Joannet Fleming, a long-time member of the Partners. We wish Mr. Giacone well in his retirement. On December 16, 2013, we received the news that our partner and friend, Art Rohr passed away at home in his sleep. We celebrate his life; showing you in pictures the depth and breadth of his commitment to Goose Lake Prairie and the partners. A veteran and a retired postal worker, Art loved nature, reading, wildlife and wood-working. His family has set up a memorial in Art’s name through the Prairie Partners. He will truly be missed! He leaves behind his sons, Gerald (Joan) Rohr of Harwood Heights, IL, and Dennis (Jenny) Rohr of Yorkville, IL, a daughter, Jeannette (Michael) Rateike of Joliet, IL; seven grandchildren, Jeremy Rateike, Katherine Rohr, Megan Rateike, Nathaniel Rohr, Melody Rohr, Marcella Rohr, and Nickelas Rohr; his sister, Dorothy (LaVern) Koehn of Oxford, IN; one niece, Amanda Armstrong of Fowler, IN and her children, Jenna, Keith, and Liam. PHOTO: Joey and Art release a butterfly in the barn. In celebration of thirty years of volunteering at the park, the Prairie Partners enjoyed a wagon ride on the prairie with Art Rohr as their driver and teacher August 10, 2013. Little did we know that it would be the last of an era of wagon rides. The park will no longer offer wagon rides with Mr. Rohr on the prairie. Prairie Partners have seen that a new Canvas is on the wagon when needed. On June 1st, 2013 a new canvas was installed. The canvas was sponsored by Midwest Generation and the Brenda Kaluzny Memorial Funds. It was put into place by Tom Kaluzny, the Cowells, the Sipples, and Bev Mansfield. Prairie Partners were informed that a new net was needed on the butterfly barn, On July 27th, 2013 a new net and new rabbit fencing were installed. Partners on hand to assist Art Rohr and the park staff was the Johnsons, the Sipples, Cheryl Wright, and Brenda Soreng. PHOTO: Dan Sipple assists Art Rohr in securing the Rabbit Fencing. On July 3rd, 2013 the Prairie Partners, with help from Eric K. Peterson, son of Gunnar A. Peterson (whom the center is named after), purchased a mounted pair of Greater Prairie Chickens and with help from the Illinois State Museum staff, have seen that they are on display in the lobby of the center. On June 21st Prairie Partner Rebecca Sipple and her husband Daniel donated a White Fronted Snow Goose (often referred to by hunters as a Speckled Belly Snow Goose) to the Center. It is mounted on the wall in the hallway as you enter the Auditorium. Monarch’s at Goose Lake Prairie. The event happened 2 years ago—September 14, 2010 around 6:45 p.m.
“After re-watching, I realize the quality of the video / lighting really is pretty poor. Gosh darn it, my iPhone isn't much of a camcorder ;-) But I cannot tell you how excited we were to witness this localized migration—which we certainly haven't seen but that one time. “How did they all know where to go? “And at the same time? 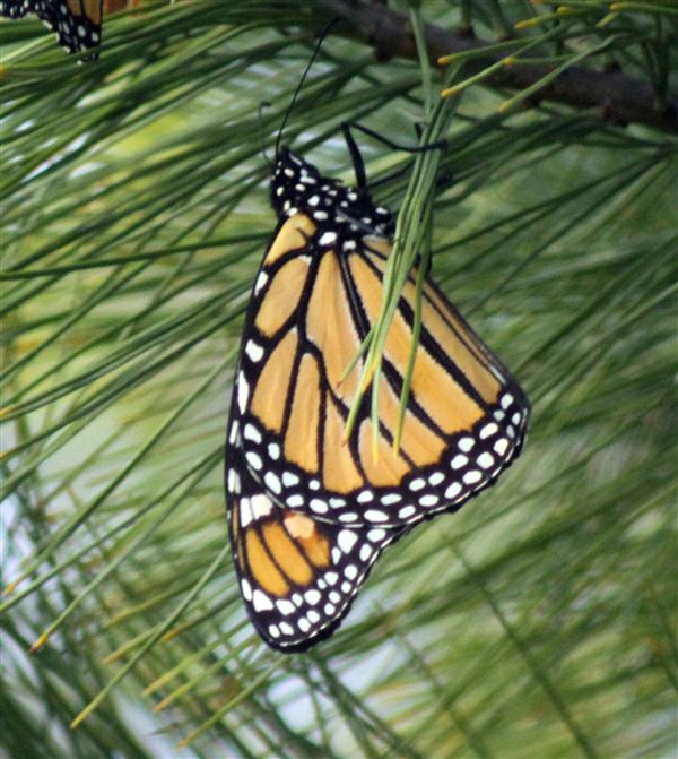 “We just got back to Naperville after a late afternoon visit to see if the Monarchs would be doing their thing again this year. I guess the drought has impacted them terribly. I think we saw a mere 10-15 in a 90 minute visit. 2012: Winter at the park is a time for improvements, painting and building things. We are proud of the work done by Will Green, Tech II, to add a bench to the Photo Blind. If you haven't seen the new bench, here is a quick peek. 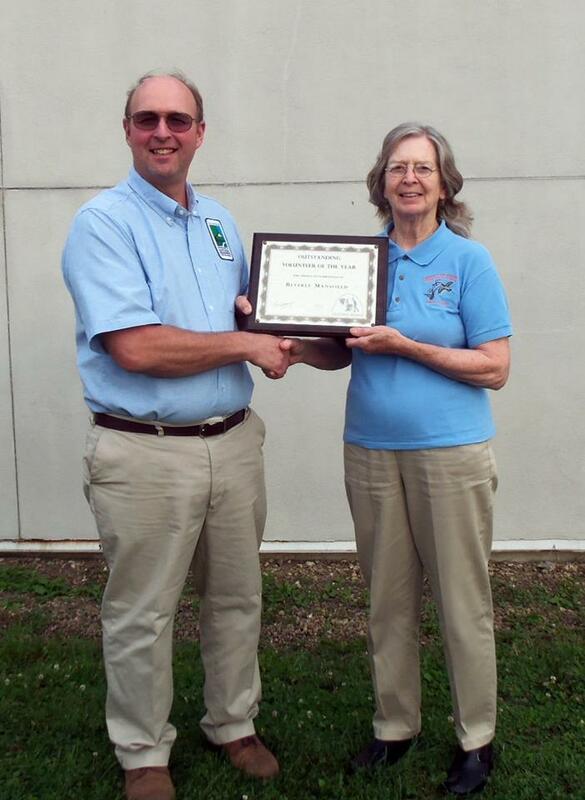 The Goose Lake Prairie Partners are very proud of member Joanette Fleming who was recognized by Mark Miller, IDNR Director, at the Springfield Fair August 20th as a State Volunteer for 2011. Jo, as Joannette is called among the Partners, has worked in every job possible with the Prairie Partners for 26 years. "She has been our mentor and inspiration" says Jackie Martin. 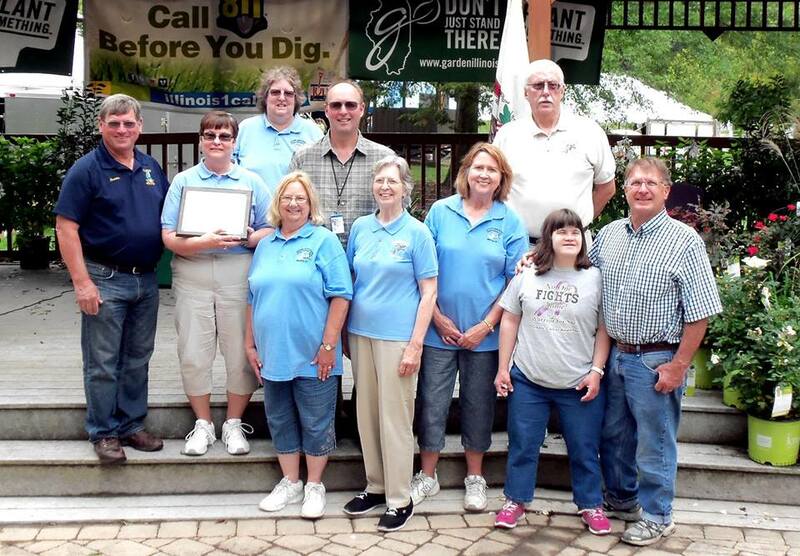 Shown in the photo with Jo is GLPSNA Superintendent Joe Giacone (who recommended Jo be recognized), Mark Miller, Jo, Past GLPSNA Superintendent Joe Nyhoff, and Jim Modglin, Chief of the Division of Parks and Recreation. Click here for photo story of the occasion. Jo's framed certificate was on display at the center for a short time, while Jo visited with her son in Germany. "It is only on loan until I return," she said. I (Susie) was in the center last Friday and saw the new oak display which will house the collection of butterflies, moths and bugs. I am including a photo of what I saw while I was there. Art Rohr has already spent a good amount of time building this display. We thank him very much for the project and are looking forward to seeing how the project unfolds. It is my understanding that this exhibit will include several of the wonderful collection that was made by George Maly long ago and given to the park by his brother Robert Maley of Morris, IL and Jane Welch of Genesco, Il. The new photo blind at the park on the North end of the Sagashka Trail is the direct result of contributions to the Brenda K. Kaluzny Memorial Fund and the Goose Lake Prairie Partners. It is our hope that the photographers who visit the park will again be able to use this building to take great nature shots to use in our Nature photo contest. The Partners greatly appreciate the assistance of Superintendent Joe Giacone and Site Tech II Will Green to set the building into place. We are hoping the new windows and interior decorations will be in place soon. Shown setting the new building into place by the pond to use as a photo blind is Site Tech II William M. Green (Will), Conservation Worker Domenic M. Serena, Conservation Worker Randy L. Passini, and Conservation Worker Robert J. Klimczak (Bob). The Prairie Partners enjoyed a lesson in Indian beading with Bev Mansfield as our instructor prior to our June monthly meeting. Our assignment was to decorate the amulet bags with seed beads and shells.